LOVE IN THE WILD: SURVIVOR Meets PARADISE HOTEL! After trying speed-dating, blind-dating, and internet dating with not a lot of luck, extreme measures are just what 10 single men and 10 single women will go through in the new NBC dating reality game show titled “Love in the Wild”. 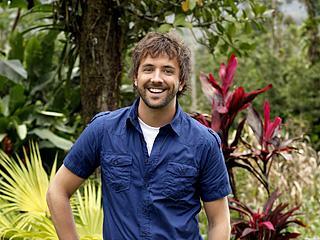 Hosted by Darren McMullen (Australian â€œMinute to Win Itâ€), The 20 singles will experience a romantic adventure into the remote jungles of Costa Rica to see if they can find Mr. or Ms. right! In each episode, the couples will pair up in exhilarating quests that will push their bodies and their emotions to the limit. Some of these include paddling down crocodile-ridden waters, navigating through bat-infested caves and hanging 200 feet above the rain forest floor as they descend down one of the most majestic waterfalls in Costa Rica. After each adventure, the winning couple will share a night together at the â€œOasis,â€ a lavish, five-star bungalow overflowing with everything they could possibly desire for an intimate night of romance. The remaining couples will stay with their partners in the less luxurious â€œCabins,â€ where they will gather for a night of socializing. The elimination process is reminiscent of “Paradise Hotel”. Couples reveal whether a connection has been formed with their current partner — or if they would like to switch and get to know someone else. Two singles are sent home per episode. The series will end with one final couple. It wasn’t mentioned in the press release whether or not there will be a cash prize awarded. â€œLove in the Wildâ€ will premiere on Wednesday, June 1 (10-11 p.m. ET).